TLDR put air strut back on and now copper fitting or pipe is leaking. Any information about the thread type, proper sealant (PTFE, pipe dope, etc) is appreciated. I was basically all wrapped to go on a nice multi-day jaunt this weekend. 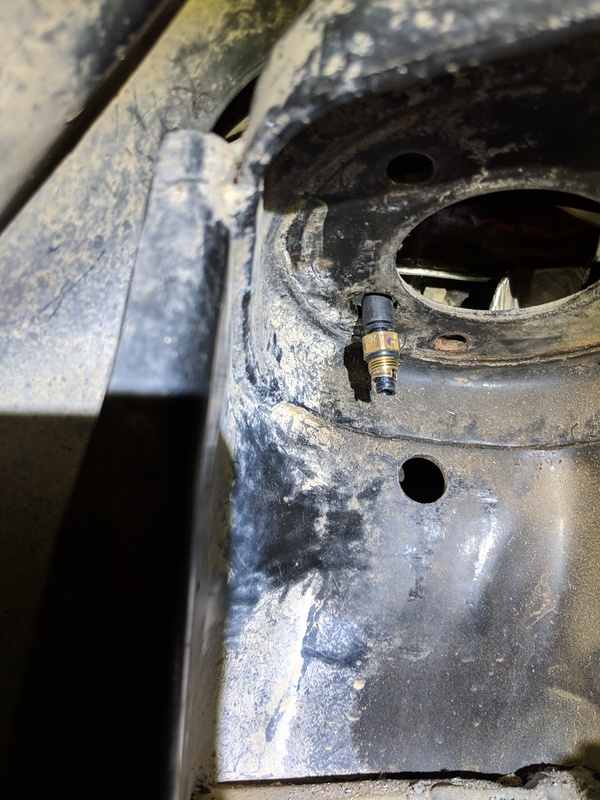 So of course I thought let me up the risk and install the LK8 bump stop extensions I got (hoping to remove rear rub while climbing in addition to safety). I got the first one on and then realized I have the LR3 kit. It seems like an element of urban legend (I can't find the listing anywhere on their site or google) but apparently there is a RRS specific one that has longer front limit straps that should be bolted to an unused hole in the control arm. So I called them and unfortunately they are waiting for re-supply. So I disassembled the strut and put it back without the bump stop. 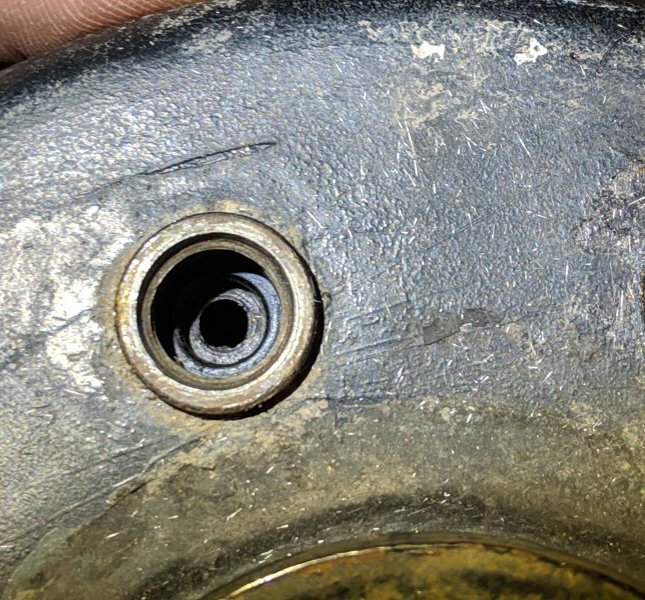 I left the air line connector in place and tightened down the copper fitting when I got it up into the wheel well (didn't realize you can force situate the line into the fitting and don't need to screw lock it, I should really pay better attention to the fine details of these videos). The rear wheels inflate but neither of the front do (I assume this is because the block opens to both at once for this fill from deflate). I'm only hearing leaking (and feeling it) coming upward from the strut. So I assume either the copper fitting or line at the fitting aren't holding a seal. I don't know of a good way to exercise the airline with the strut unbolted to know the exact source of the leak. Can it be done with test valve inflation while the car is deflated in IIDTool? I got the copper fitting finger tight while it was up there but didn't want to overtighten it and didn't have a ton of room anyhow so said yolo. After the initial I definitely got the copper fitting to turn more using a finger from each hand. Still didn't plug the leak but it seemed like it increased the pitch of the air leak, which is an encouraging sign. I'm a bit hesitant to keep turning the copper fitting up there since I don't want to ruin it, though are my hands really that powerful? I'm going to pull the strut then try to pull the 2 inch line off the quick connect (didn't wanna give before), then use a new line or cut the old one, and set it and the fitting into the strut then into the quick connect when mounting. The fitting looks to be in good condition I believe. 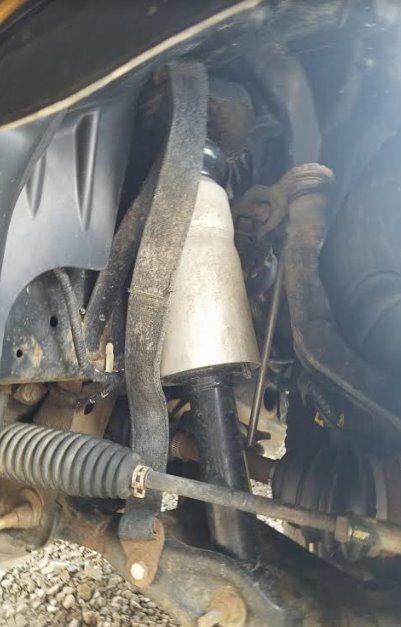 If you have older struts in there it could be leaking from the strut top. Let the engine run with the door open for a few minutes (this disables the valve blocks from operating but allows the compressor to fill the reservoir. Then close the door and select the up position on the consul. This will allow full pressure to inflate the front and help you find the leak but more than likely it is the strut. As for the SYA kit, the front does not use the limit straps on a sport. Same kit as LR3 so it comes with the front straps but there is no where to mount them. (per tech at Lucky I did a write up on this when i installed mine. I read your write up originally but after contacting them they told me they have straps for the RRS and sent me the following pic and clarification of how they would mount. They also charged me for it (so lets hope lol), but said it is being ordered from supplier and should be a week or more. There is an empty hole in the lower control arm and they are sending the strap but I need to supply a thru bolt/nut combo. I'm debating what combination of washers (none? strap sandwiched?) would be suitable for this application. Probably use some medium loctite. As far as the leak goes, I fixed it the day after (procrastinated for a day adding new visual flare). I pulled off the strut and realized the fitting had too much air line coming through the end, which meant that when I hand tightened it in the well it had much more resistance and didn't seat fully. I mistakenly assumed the fitting was set fully (it seats quite deeply - a "duh" statement). The first pic is the top of the air spring, looking into the open fitting. It has an inner ring that I believe pushes against the airline held at the end of the fitting to seal the line. The second pic is my air line. It had wayy too much extra length of air line below the copper fitting. I shaved it with a box cutter and got clean results. I disconnected it from the quick connect and tightened the fitting to the strut and then raised it up with my jack and seated the air line into the quick connect. This fixed the leak seemingly. That 2nd pic is the air line when it was too long (not after trimming to proper length) just fyi.